This is our most requested mix this year. We’ve compiled the biggest Francophone bangers tearing up dance floors in Abidjan, Yaounde, Kinshasa, Lome & Paris. Included in this mix are heavy tunes from Daphne (Cameroon), Werrason (Congo), Sidiki Diabate (Mali), Revolution (Ivory Coast), Oudy 1er (Guinea), Djany (France) & more. This is a full length 60 minute mix. This is my Ugandan Independence Day set from October 8th. It contains current and comtemporary tunes from Uganda inclduing hits from Radio & Weasel. Chameleone, YKee Benda, Sheebah, Eddy Kenzo, Irene Ntale, Bobi Wine, Rabadah & more. This is 75 minute mix containing tunes that are heating up dance floors all over the continent. 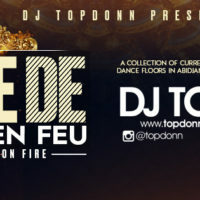 Included in this mix are tunes from Davido (Nigeria), Sauti Sol (Kenya), Fally Ipupa (Congo), MHD (France), Tresor (South Africa), Darassa (Tanzania), Toofan (Togo) & more. POWER 92 WELCOMES THE 1ST ANNUAL LAKEFRONT FUSION YACHT PARTY!!! WHERE AFROBEATS MEETS HIP HOP FRIDAY JUNE 30TH ON THE ANITA DEE YACHT BOARDING AT 10PM! BROUGHT TO YOU BY AFROZONS WITH HOST SHEILA O. 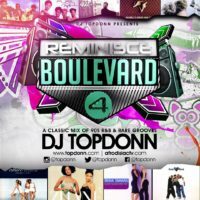 & DJS BONSU , TOP -DONN, JOSMAN , & ROB WHITE! BROUGHT TO YOU BY POWER 92 WITH DJ’S COMMANDO, NEHPETS AND R-DOUBLE! GET YOUR TICKETS NOW TEXT FUSION TO 90206 …TEXT FUSION TO 90206 OR HIT https://www.eventbrite.com/e/lakefront-fusion-yacht-party-tickets-33597326508?aff=es2!! 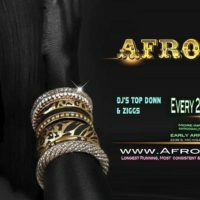 Here’s our latest Afro Urban Promo Mix. 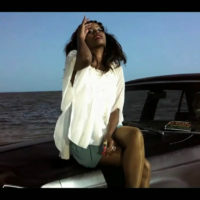 It features AfroBeat tracks currently heating up dancefloors all over Africa. Included here are new tunes from Mr. Eazi (Ghana), Nonini (Kenya), Navy Kenzo (Tanzania), Naiboi (Kenya), Wande Coal (Nigeria), AKA (South Africa), Fuse ODG (Ghana) & more.